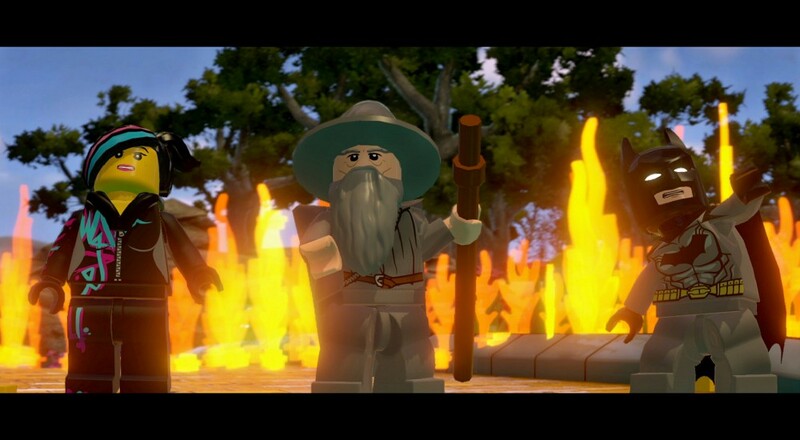 It seems only fitting for a LEGO game to finally be the one to break characters out of their respective properties and slap them in other worlds. After all, the first thing you do with a jumble of LEGO sets is throw Gandalf in an X-Wing and have him face off against Superman. Well, that's what I do, at least. If you've been itching to see the ins and outs of LEGO Dimensions, this new trailer illuminates some of the finer points and worlds of the two player co-op game. You know, I've been dying to see how Batman would do in Middle Earth. I'll bet he can take an orc or two. Who needs an army of oathbroken spirits when you've got the Dark Knight Detective defending Minas Tirith? The fine folks at LEGO have been rolling out new announcements for properties they intend to include in this tidy little package, and it ain't small. With fourteen different worlds to explore, you've got your pick from superheroes, to scientists, to time-traveling aliens, to a regular ol' joe and his dog. I'm not sure I'd feel great about shoving Shaggy and Scooby into Pellenor fields. Those orcs aren't wearing masks, guys. They are actual monsters. Page created in 0.3804 seconds.